For many years, Pure has already provided functionality to help users manage Open Access on publications. In the Pure 5.3 release, we take this a step further with an update as to how registrations of Open Access can be handled at the publication level. When adding the electronic version of the publication, users can now select between uploading the actual full text file, adding a DOI or a link to for example, a subject repository. No matter which method chosen, users can register the document version, access conditions (open, embargoed, restricted or closed) and the license. 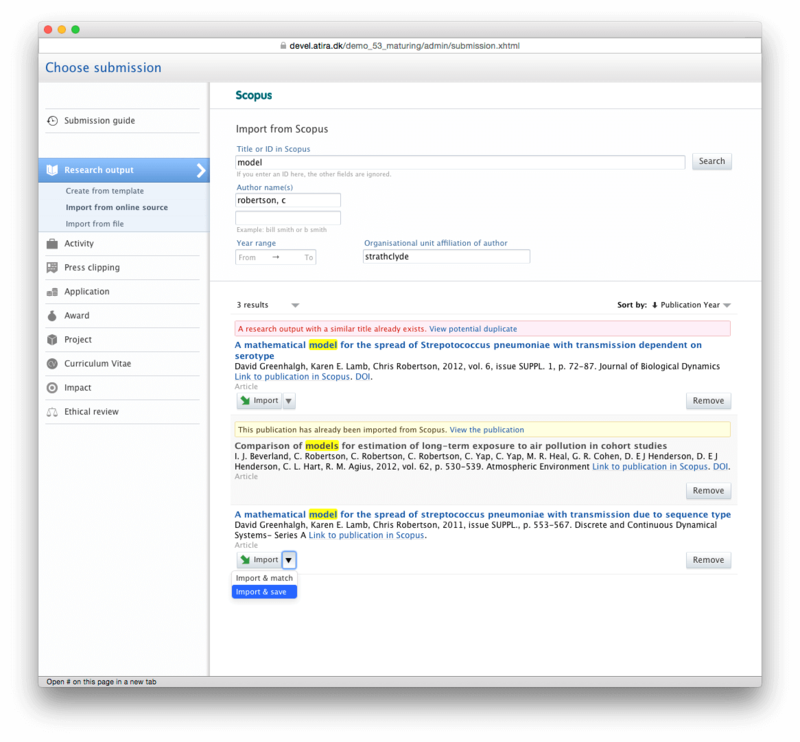 For files, currently under embargo users can easily specify the embargo period. All three methods are fully reportable, as such you can report on your Open Access status no matter if the files are stored in Pure or elsewhere. Existing Open Access functionality such as integration to Sherpa/RoMEO and the ability to register the APC is still available. Finally, it is now also possible to register the history of publication status from when a publication is in preparation, to being submitted and to being accepted by the publisher and finally when it’s published. This new feature is especially important for UK customers to support the new Open Access requirements for the REF2020. Pure is leading the way in helping customers with their National Assessment exercises, in a number of countries, including the UK, Australia, Denmark and soon in The Netherlands. In the new release, Pure includes support for the REF2020 (UK) as well as delivering the final version of the BFI module (Denmark). These National Assessment modules will help customers track, monitor and manage the submission process for these strategically important exercises, where the results help to shape funding allocation decisions. We are proud to be leading the way with supporting the REF2020 by enabling our UK customers to meet the stringent Open Access (OA) requirements. Learn more about how Elsevier has supported these and other national assessment exercises in this Elsevier Connect article. We''ve created an improved data model to help you demonstrate and report on your researcher impact more easily. Designed in close collaboration with the Pure User Group and drawing on what we learned during the REF2014, the new impact data model allows you to capture both narrative and background structure information. This includes relations to publications or research projects, or activities such as conference presentations or media appearances. Pure's Import Module allows you to easily import publications from both online sources such as Scopus, WoS, PubMed and more, but also offline formats such as RIS or BibTeX. In Pure 5.3, we have improved the user experience when using the Import Module in two ways. Firstly, we have created greater transparency in the import process in making it more clear exactly how data is matched and imported into Pure. This also includes providing feedback on possible duplicates even earlier in the import process. Secondly, we added a quick import feature which allows you to import whole publications into Pure with just one click of a button. We've made some changes to the Report Module that will really make a difference. First and foremost we have fine-tuned the performance of the Dashboards – showing various different kind of data in multiple widgets on a fully configurable dashboard have never been faster. 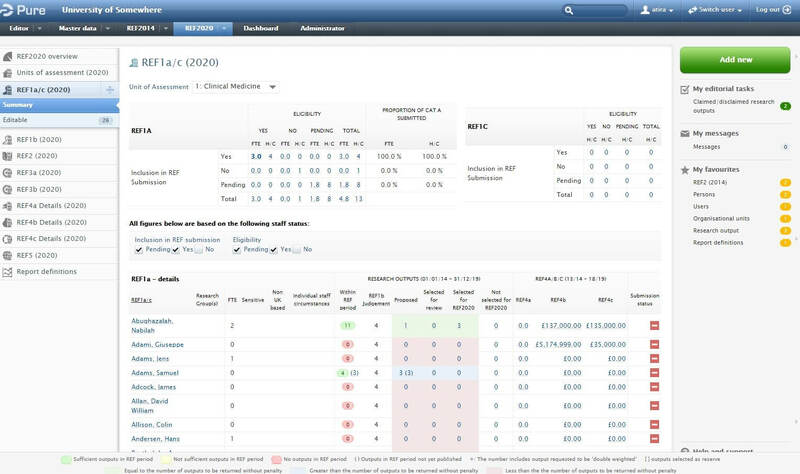 Secondly, we have redesigned the pre-defined collaboration dashboard and at the same time taken it out of beta. Users with many report definitions will appreciate that we have made it easier to organize and find report definitions. It’s now possible to tag a report definition with a configurable set of tags and create filters based on these and other characteristics for the different report definitions. We also added information on which content the report definitions report upon to the listing of report definitions making it much easer to find what you are looking for while browsing your saved report definitions. The next major Pure release is October 2015.